You're Invited! RSVP today and let us know you're coming! 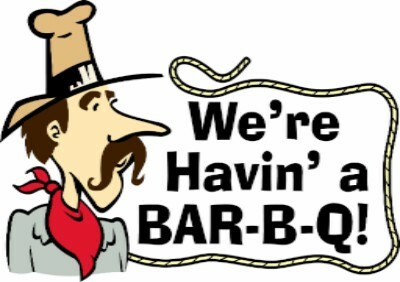 When: This FRIDAY, August 19th 2016 from 5 p.m. to 7 p.m.
Drop over, say, "Hello," and grab a burger with us. Give us a call if you need any special dietary considerations too. So nice to have a former Business Person of the Year and Volunteer of the Year, Jack Tedford, drop in to the Chamber offices this week. He thought the town might like to have a scan of a series of photos he has of him and his son changing the lightbulbs on the watertower. 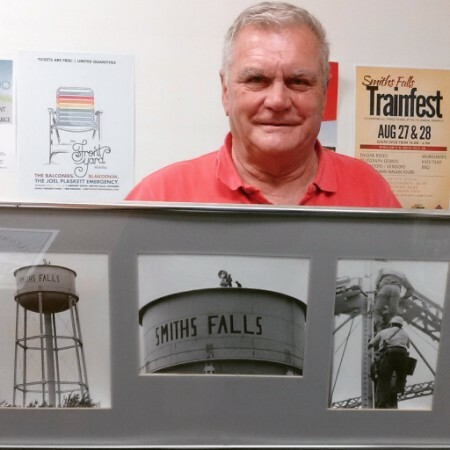 The Heritage House Museum of Smiths Falls has it now and will grab a digital copy for the archives. 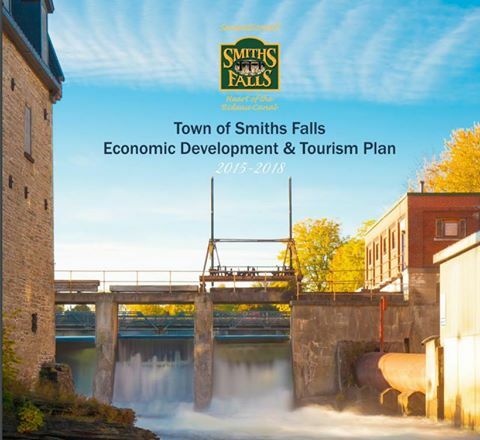 The Town of Smiths Falls is currently reviewing a proposed Economic Development and Tourism Plan. Click the link to read it. 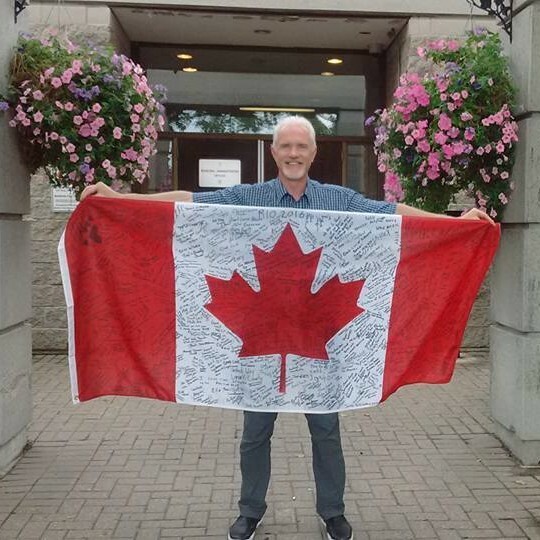 Mayor Pankow holds the Canada Flag signed for Brooke Henderson . It is now on its way to Brooke in Rio! We hope she has an amazing time! 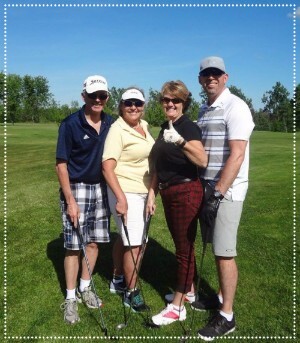 Chamber staff had the sincere privilege of spending the day with the Perth Chamber of Commerce for the Dorothy Griffith Memorial Golf Tournament. It was a very HOT but fun day for all to raise some much-needed funds for the Perth Chamber. 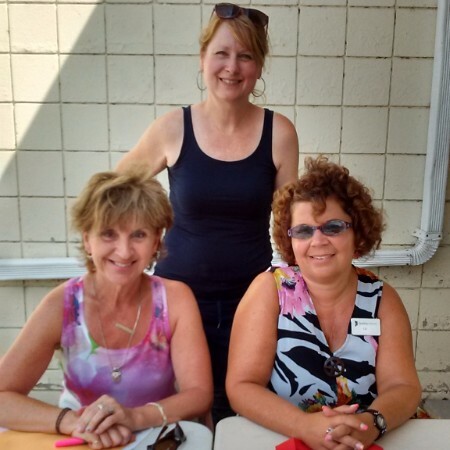 Many thanks to Amber, Carol & Liz for offering to share your trade secrets! Our Chamber Tournament is coming up! We're thrilled with all the participation & enthusiasm our members have shown in support of this annual fundraiser! It isn't too late to sign up! We have several new activities & games this year. Plus great prizes for you to win! We've added a "best dressed team" contest this year so make sure to get your theme on! 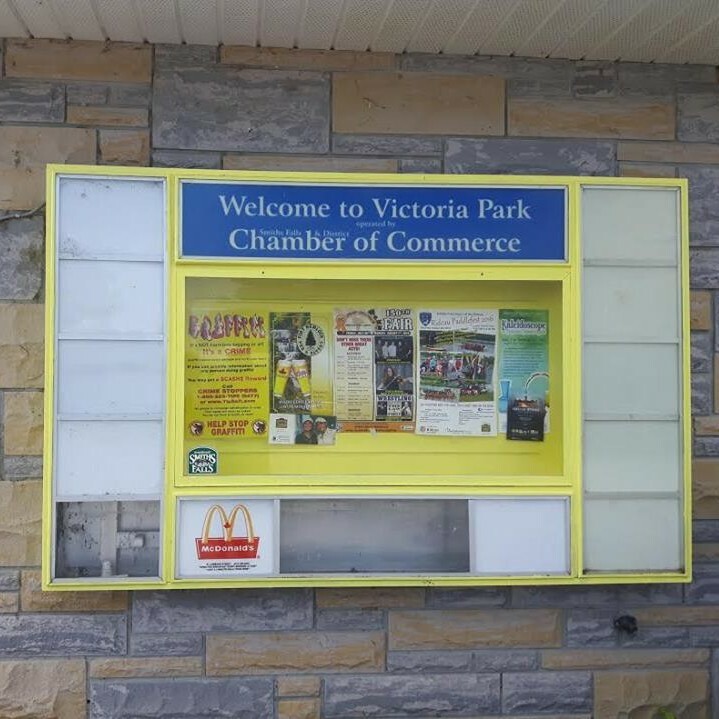 We only have a few ad spaces left on the sign at Victoria Park. It is seen by most boaters and campers. The ads will be installed as we get the artwork in. 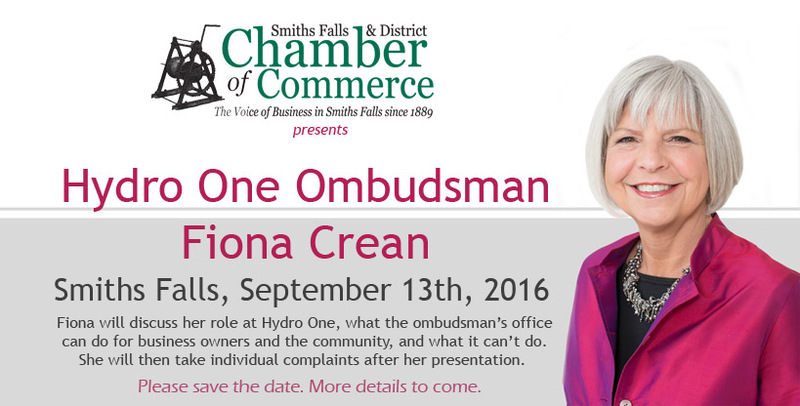 Save the date - Tuesday, September 13th to meet the Hydro One Ombudsman in person here in Smiths Falls. More details to come.